Issa Rae has become a style star to watch on the red carpet thanks to her stylist Jason Rembert. The actress was a presenter at the 49th NAACP Image Awards yesterday evening(January 15th) at the Pasadena Civic Auditorium in Pasadena, CA. 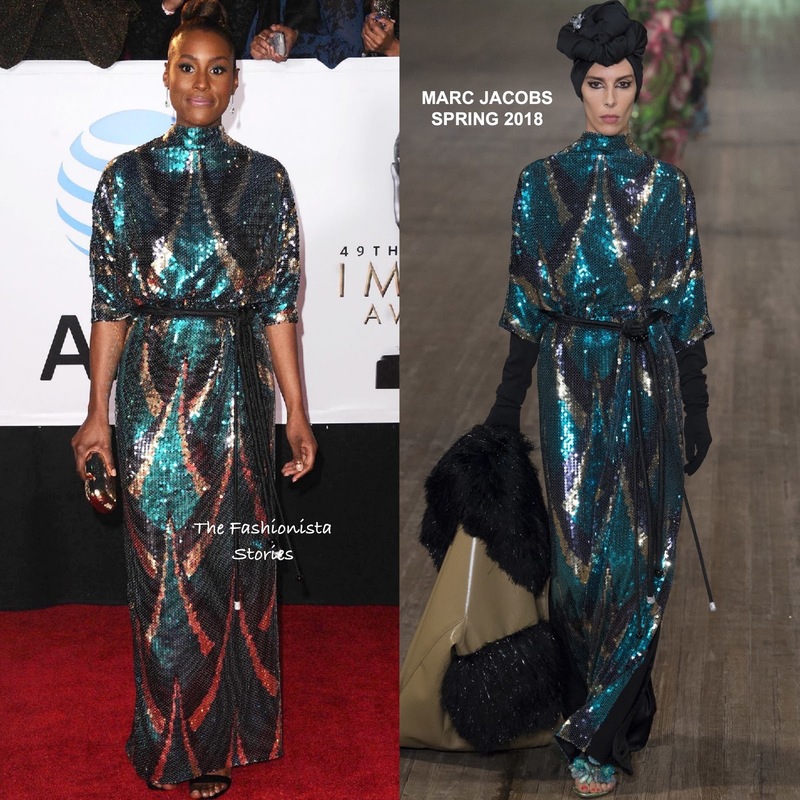 She sparkled her way onto the red carpet wearing a MARC JACOBS SPRING 2018 navy, teal & silver sequin floor gazing dress with a high neckline, three-quarter sleeves, a tie waist and a contrasting black crepe & cutout back panel. Loving her flawless beauty look which complimented her sequin dress dress. A metallic clutch and black sandals finished up her look. Are you feeling Issa's sparkly look?